Singer Lee Hong-ki from F.T. Island continues to inch toward being a pro bowler two years after his first attempt in 2016. 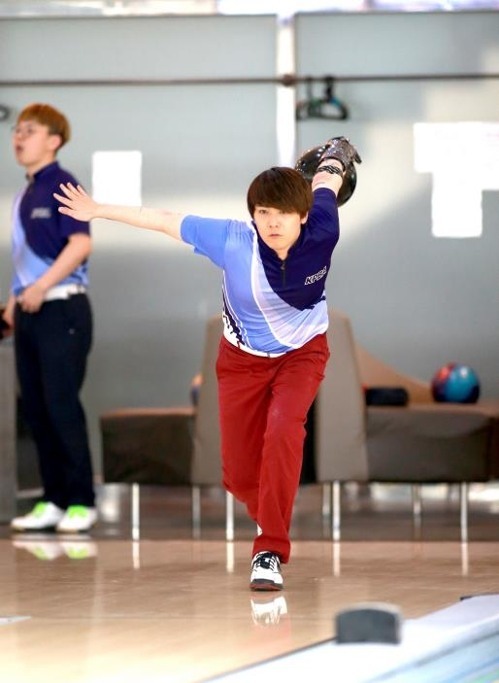 The lead vocalist acquired a license from the Korea Professional Bowling Association after scoring an average of 196.7 points in 30 games during a contest selecting professional bowlers this week. According to the bowling association, Lee failed to reach the threshold of 200 points to become a pro bowler. Instead, he was given “special member” status for doing well in the warm-up match. “Among the applicants who passed the first match, we give special member status to those individuals who we think will help promote and contribute to professional bowling in South Korea,” the association said. Those who want to become a professional bowler in South Korea need to hit an average of 200 points during an official match organized by the Korea Professional Bowling Association, and receive training afterward. This is not the first time Lee made an attempt at professional bowling. In 2016, the singer also failed to hit the 200-point mark.